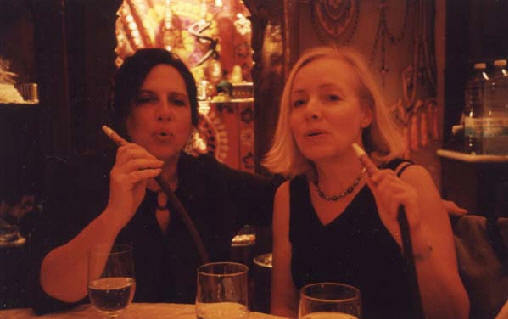 Wendy Campbell, at right, smoking the “Hubbly-Bubbly” (tobacco) with friend in Aleppo, Syria. 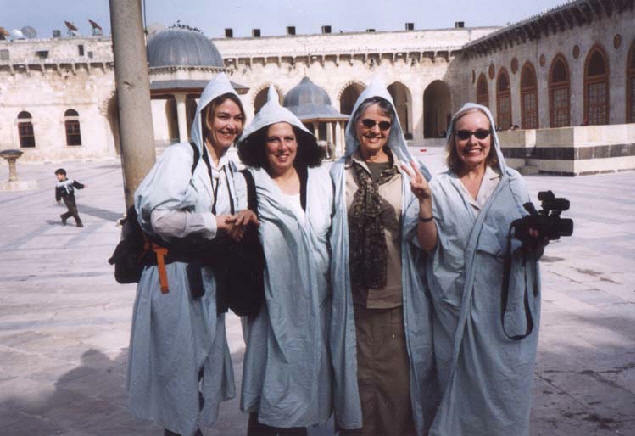 Wendy Campbell, far right, with friends at the Omyyad Mosque in Damascus. 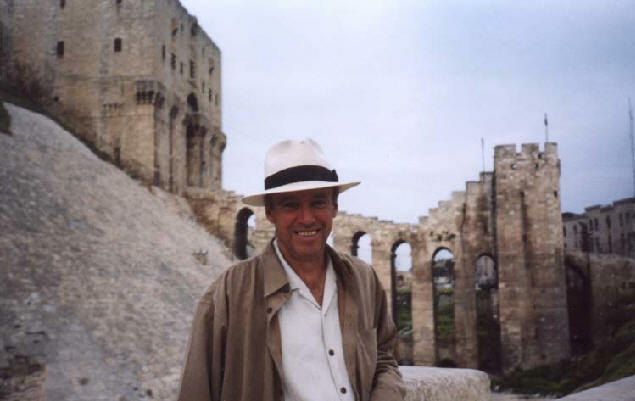 Mark Green in front of the Citadel in Aleppo, Syria. 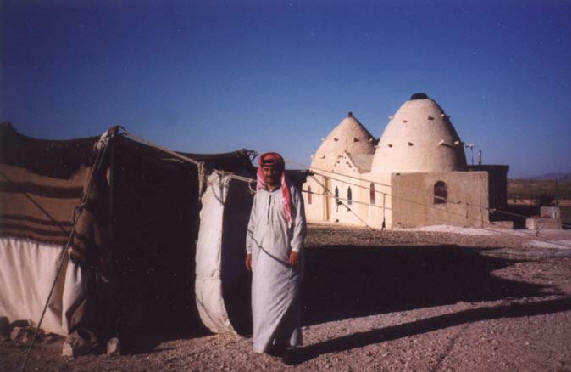 Bedouin Man at the Café Bagdhad on the way to Palmyra ruins in Syria. 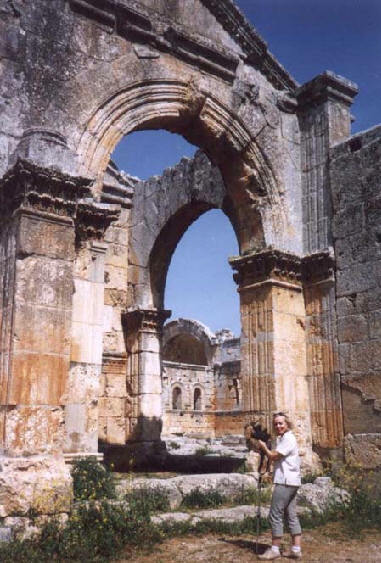 Wendy Campbell videotaping the beautiful ruins of San Simeon in Syria. 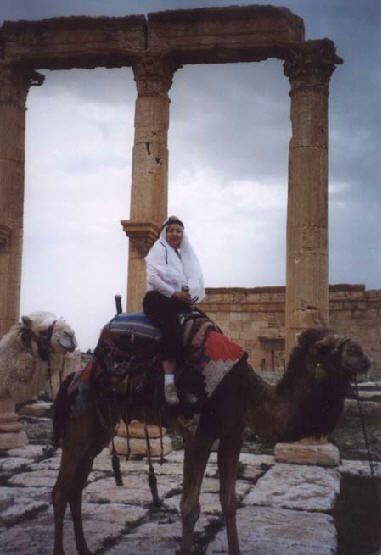 Wendy Campbell toured the ruins of Palmyra riding atop a camel. 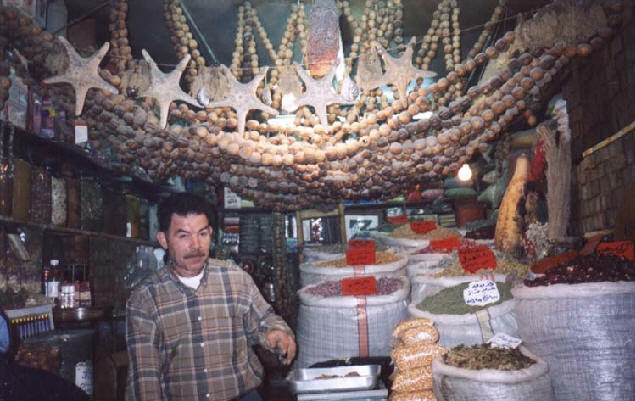 A stall inside the souk in Aleppo. 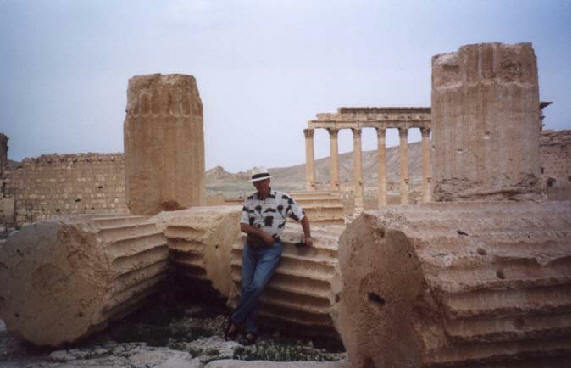 Wendy Campbell’s fiance Mark Green in Palmyra, Syria. View of Maaloula, where the ancient language of Aramaic is still spoken. (Post card view). 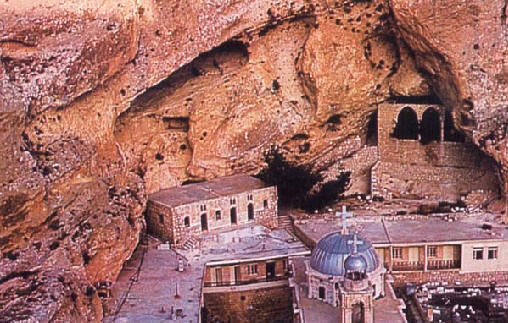 This photo and the one of Maaloula are from postcards. 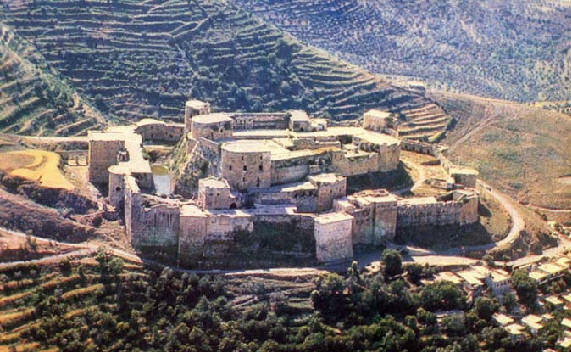 Overview of the Crusader fortress Crak des Chevaliers. The first photo is titled: Bridges; Botanical Gardens Fort Worth, Texas USA June 2002. The second photo is Downtown Dallas Texas USA August 2001, third photo is titled: The smell of Roses; Botanical Gardens Fort Worth Texas USA June 2002. Sorry about that! Thank you for your reply. Sincerely, Gina from Fort Worth Texas USA (Sent by Gina/Amor Vivira, Texas, USA, June 4, 2004). Beachfront properties are increasingly becoming cool destinations during the UAE's long hot summer. As many as 1,213,871 visitors stayed in Dubai from July to September last year. (Gulf News, 7/11/03). A flock of seagulls flies over the abra along the Deira Creekside, Dubai, UAE (Gulf News, 1/3/03). This is not New York. Believe it or not, this is Dubai, United Arab Emirates, a thriving city in an unstable region (Gulf News, 4/5/03). The Sharjah corniche, Sharja, UAE. (Gulf News, 5/31/03). An Egyptian woman cooking the Eid cookies, cahk, the old-fashioned way, Egyptian countryside (Al-Ahram Weekly, 11/28/02). The illuminated roundabout on the Corniche in Abu Dhabi with the portrait of Sheikh Zayed to mark UAE National Day and Eid Al Fitr (Gulf News, 12/4/02). Ramadan ends with the streets of downtown Jeddah flooded with shoppers from far and near. (Arab News, 12/6/02). Madayin Salih, about 800 km north of Jeddah, Saudi Arabia (Arab News, 12/19/02).